UST operator training in West Virginia is required by federal law and is intended to ensure that those who own and operate underground storage tanks understand how to operate and maintain UST systems properly. West Virginia Class A operators have primary responsibility for on-site operation and maintenance of a UST facility. This individual is generally the owner of the station or the designee. For large corporations, this person is the manager or designee responsible for tank operations. West Virginia Class B operators have responsibility for the day-to-day aspects of operating, maintaining, and record keeping of a UST facility. 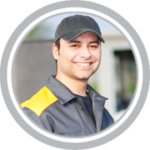 This individual (or individuals) is generally the owner or the person/company contracted by the owner to maintain the tanks. For large corporations, this person is the employee, or person/company contracted by the corporation to maintain the tanks. West Virginia Class C Operators are the first responders to emergency situations at a UST facility – like a gas station or convenience store. These individuals are usually the clerks of a facility. The West Virginia Department of Environmental Protection (WVDEP) – Division of Water & Waste Management – Environmental Enforcement – Underground Storage Tank Section was created to protect human health and the environment by preventing releases of petroleum and hazardous substances from UST systems and the release of these regulated products into the environment threatens groundwater resources and can cause explosive vapors to seep into confined spaces and occupied dwellings. Beginning August 8, 2012, all West Virginians that own, operate and maintain UST systems, as well as on-site personnel who are responsible for addressing emergencies presented by spills or releases from Underground Storage Tanks (USTs) must receive training based upon their duties and level of responsibility for USTs, in accordance with West Virginia (WV) Legislative Rule 33CSR30 – PDF. Each West Virginia underground storage tank (UST) system at a UST facility must have a certified Class A, Class B, and Class C Operator designated. An individual can be UST certified for all three classes as long as they are trained in all three. After August 8, 2012, Class A and Class B Operators must be trained within 30 days of assuming operation and maintenance responsibilities for the UST system. Class C Operators must be trained before assuming responsibility for responding to emergencies. The following are definitions of the different West Virginia underground storage tank (UST) operator classifications. Owners must determine who best fits this role at their facilities. Class A Operators are responsible for the broader aspects of compliance and are typically in management positions. They are at the highest level of responsibility. In smaller operations this will likely be the tank Owner/Operator and within a larger company this may be an Environmental Manager. The Class A operator’s responsibilities include managing resources and personnel, such as establishing work assignments, to achieve and maintain compliance with regulatory requirements. Class B Operators implement the regulatory requirements on a daily basis at one or more facilities. Class B Operators must have a more in depth understanding of operation and maintenance aspects but will have a narrower area of responsibility than a Class A Operator. For a large corporation this could be a district manager, maintenance supervisor, or a site manager, for a smaller company it may be the owner or operator. This individual implements day-to-day aspects of operating, maintaining, and recordkeeping for USTs. Class C Operators are the first line of response to an emergency event. In most instances this will be the clerk or store manager. The Class C Operator controls the dispensing of fuel and is responsible for initial response to alarms or releases. This individual notifies the Class A and Class B operator and appropriate emergency responders when necessary. An Operator with at least a Class C certification must be on site during fueling operations at all facilities, unless the facility has been designated as an unmanned facility. Each Class A and Class B Operator must carry proof of training during duty hours, and each Class C Operator must have proof of training present at the location where the Class C Operator is on duty. The certified operator (Class A, B, & C) must have personal photo identification available that will enable WVDEP to verify that certified operator’s identity. West Virginia was granted state program approval (SPA) in 1997. 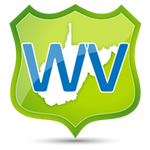 The West Virginia Department of Environmental Protection (WVDEP) reserves the right to require retraining of Operators if it is determined that a UST system at their facility does not meet significant operational compliance. WVDEP will determine whether Class A, Class B, or both classes of operators require retraining based on the compliance issues observed. We offer online UST operator training in West Virginia for: Charleston, Huntington, Parkersburg, Morgantown, Wheeling, Weirton, Fairmont, Beckley, Martinsburg, Clarksburg, Teays Valley, South Charleston, Cross Lanes, St. Albans, Vienna, Bluefield, and many more! Charleston, Huntington, Parkersburg, Morgantown, Wheeling, Weirton, Fairmont, Beckley, Martinsburg, Clarksburg, Teays Valley, South Charleston, Cross Lanes, St. Albans, Vienna, Bluefield, and many more!